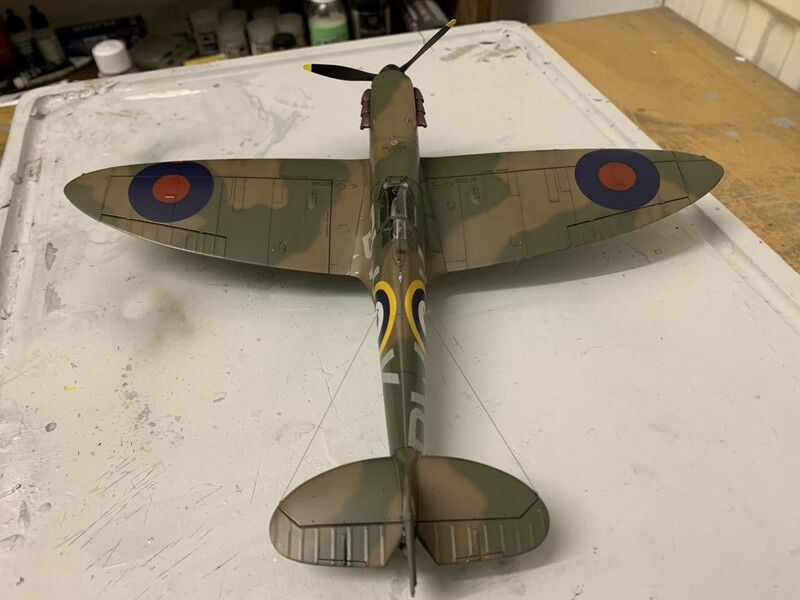 A new Spitfire for the New Year! This kit is an absolute dream. The only flaw for me was the very annoying requirement to attach the bulletproof canopy glass to the rounded portion yourself which is very hard to do even with floor polish without distortion. Glue runs in, and even floor polish has a horrible tendency to leave bubbles etc between the two panes. Took me absolutely ages to get it sorted and the final result marrs the finish. Anyway, on every other level this is everything a model kit should be. 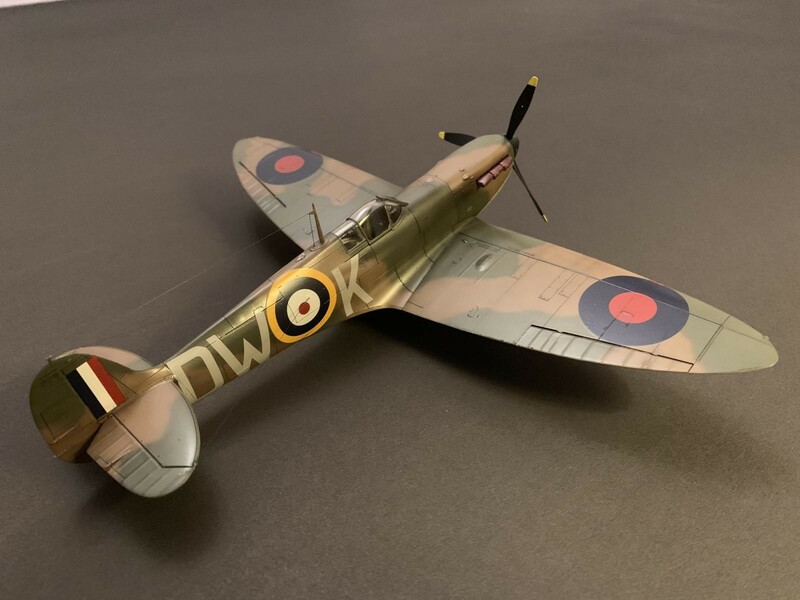 Fit is perfect, detail excellent, engineering superb, instructions clear and easy… if you haven’t already ordered it then my advice is order it now! Fantastic build! Thanks very much for turning it over- so many people miss the importance of letting us see the belly! 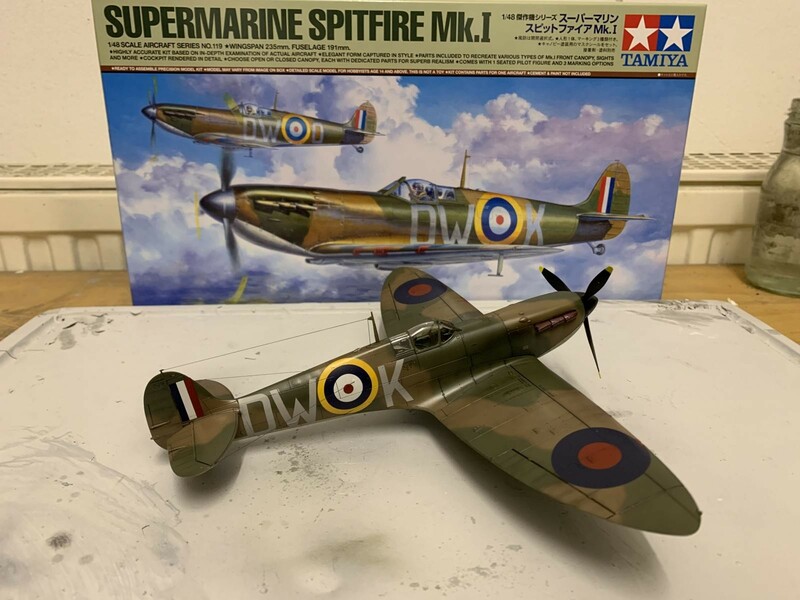 Jealous of the new tool, but I will be building the first Tamiya Mk1 Spitfire kit in my stash. What a beaut !!!! Mine is on the way across the “pond” right now according to an email I received from Hannant’s. I’m anxiously awaiting it’s arrival. Yours looks to be a fabulous build. 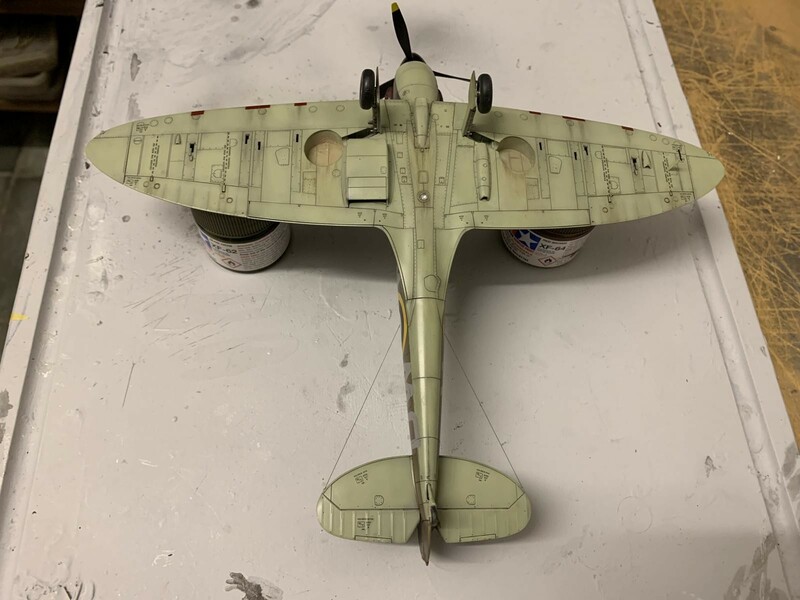 Isn’t a version included with an aluminum colored undersides too as one of the marking options provided in the kit ??? It’s K9906, first flown 21/3/39 and delivered to 65 Sq on 24/3/39. Marked as FZoL initially, it’s a well-photographed example and was the personal mount of Bob Stanford-Tuck, later to become YToT, when it was probably painted in the later white/night undersides. Good looking build though Justin of another well-documented example. Thanks for the information Paul. You answered my question perfectly……………… Happy New Year !!!! 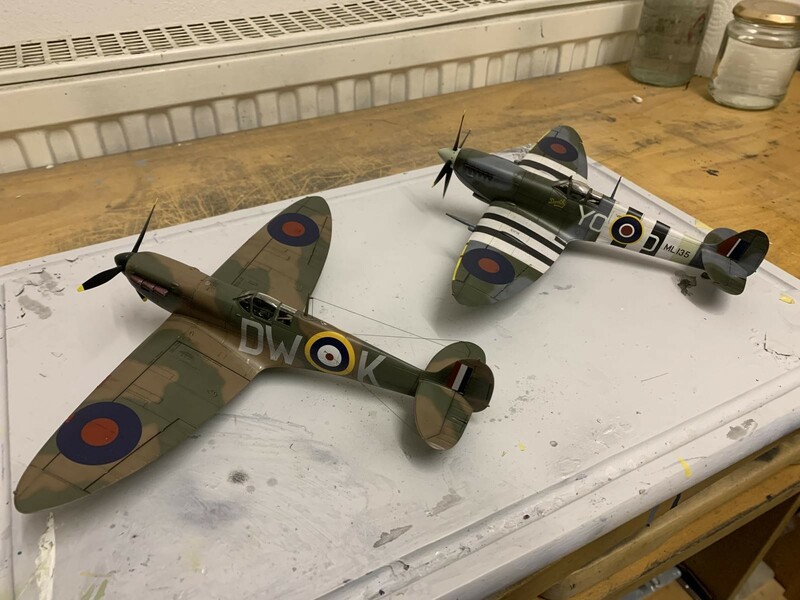 of the negative comments about Eduard’s Spitfire IX cowling top being in two pieces and they subsequently made a resin replacement. 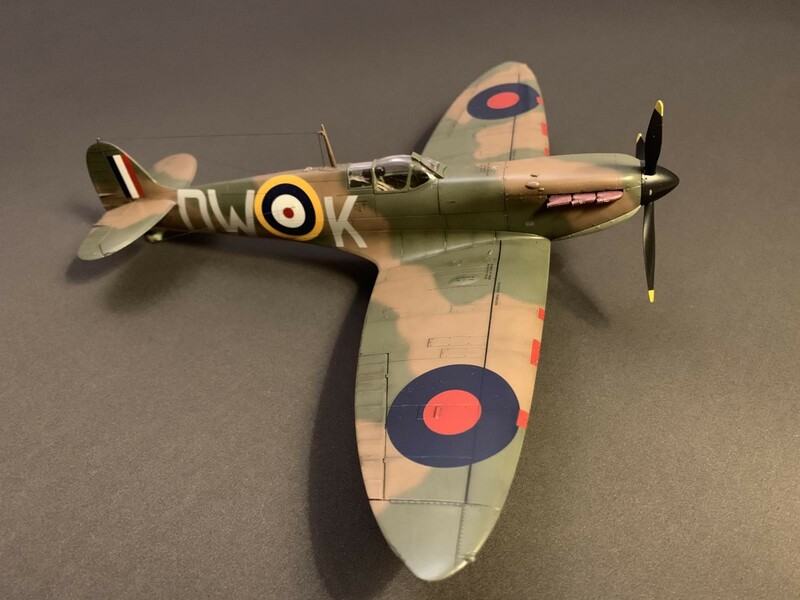 With this knowledge in hand or not …Tamiya chose to do the same thing, Which may have to do with the complexity of the cowling and how it lends its self to being molded in plastic. Perhaps a resin cowling can be done a lot cheaper and offer a cost savings. Or the cost of making a slide mold for one cowling piece didn’t make economic sense. 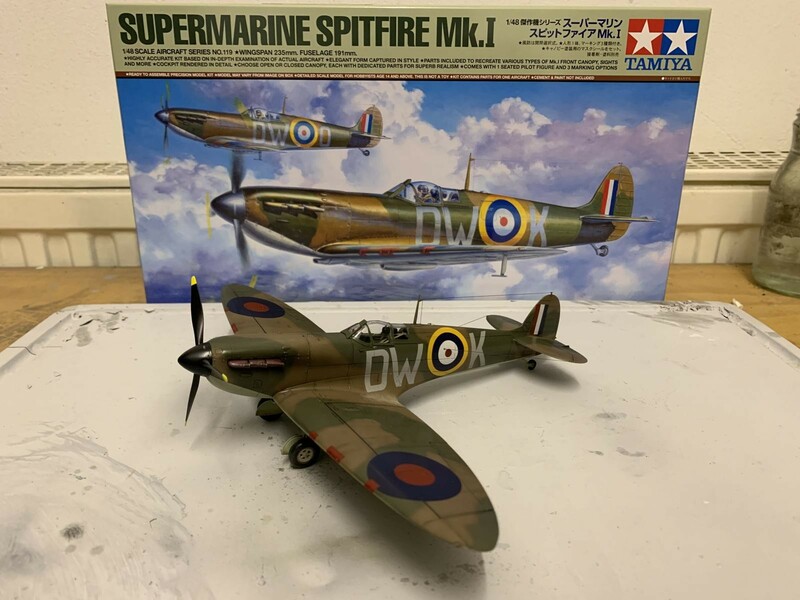 I wonder if Tamiya will bother to expand their Spitfire line? 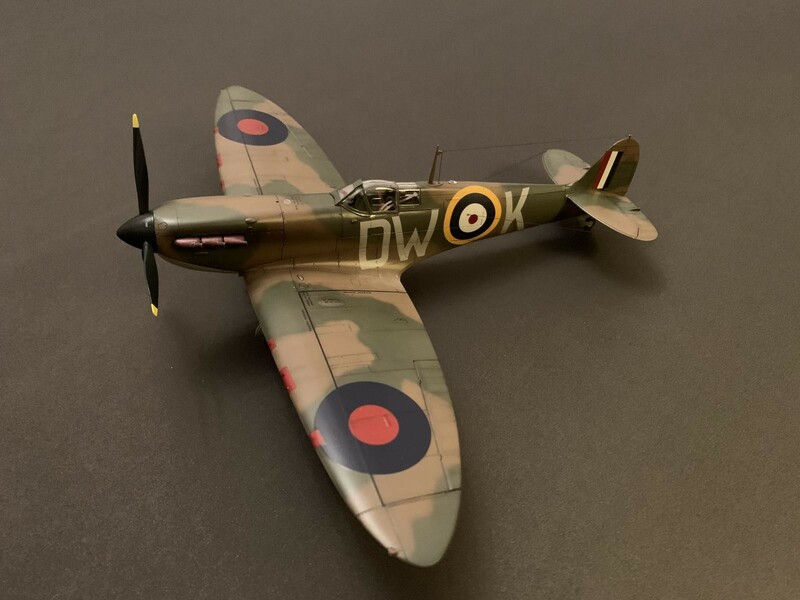 It would be great to see either Eduard or Tamiya make a Malta Mk V c . The C had the universal wing and the gear was moved 2inches forward and the wing carried twice as many cannon rounds as the B wing. Tamiya is definitely focused on the BoB market. Justin, your build and Youtube shorts offer a lot and having the written media and the visual media goes along way in showing the goods. two thumbs up. Thank you Stephen! Yes I was also a bit surprised by the decision not to have a unitary engine cover moulding.. Very well done presentation Justin, I agree with all above on your build. Also to read about the canopy issue is something to be aware, thanks for the heads up on that point of the build. 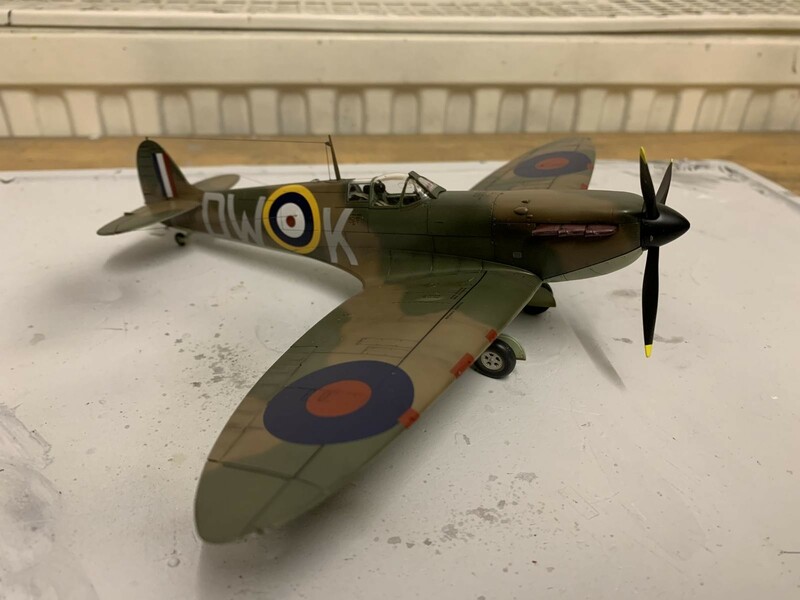 I agree with Steve on the written and video are great to see not only the images but a summary video of the your “WIP” on the model. Great idea and will look further into this myself. 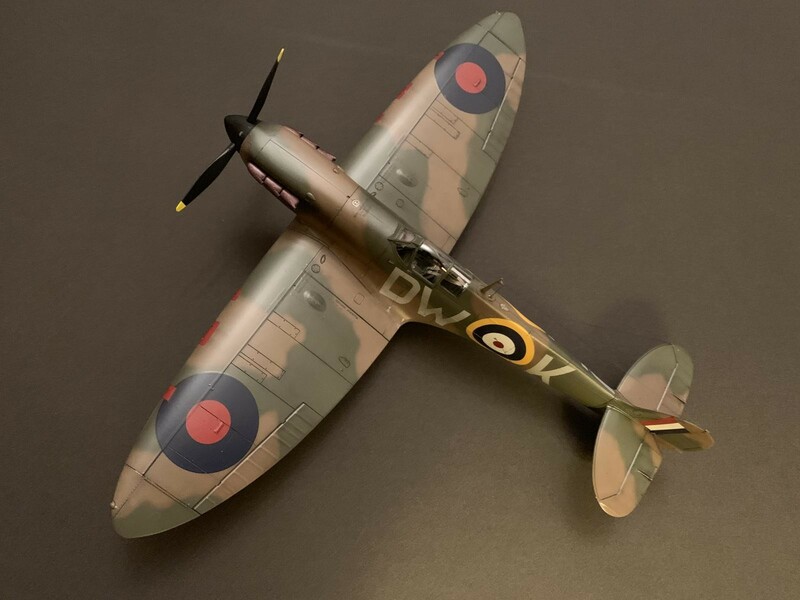 Thanks for sharing the new Spit, it is a hit so far from those who have the kit and for those anxiously waiting to get their hands on it. Happy New Year!! Nice work Justin, will check out your videos! My collection confirmation has just come through from Hannants! 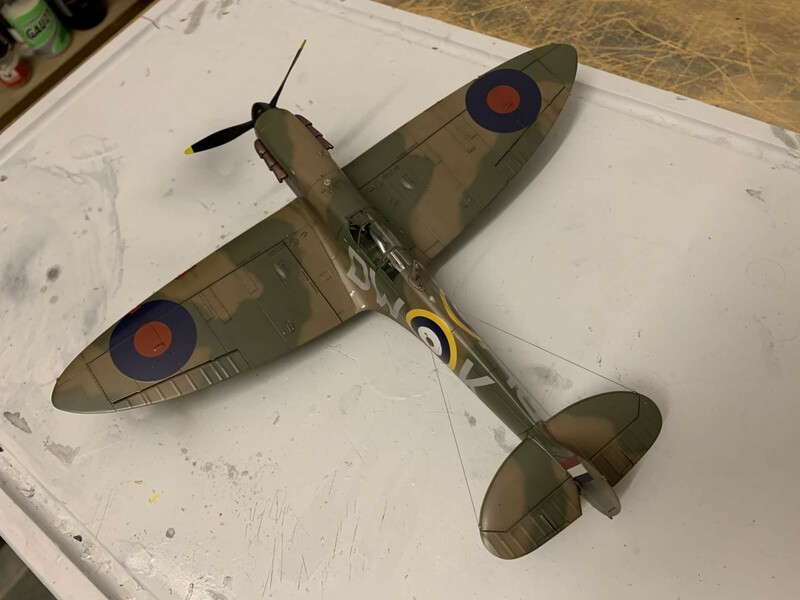 Very nice and clean work on that Spitfire Justin, sure is a looker. I am pleased with the clean lines – cheers matey! Great looking Spit! Nice finish. That is an absolute beauty! Well Done!